Breaker Attachment Rental – Allied Construction – AR95B, is available for rent in Rochester NY, Ithaca NY and the entire Western New York region from the Duke Company. 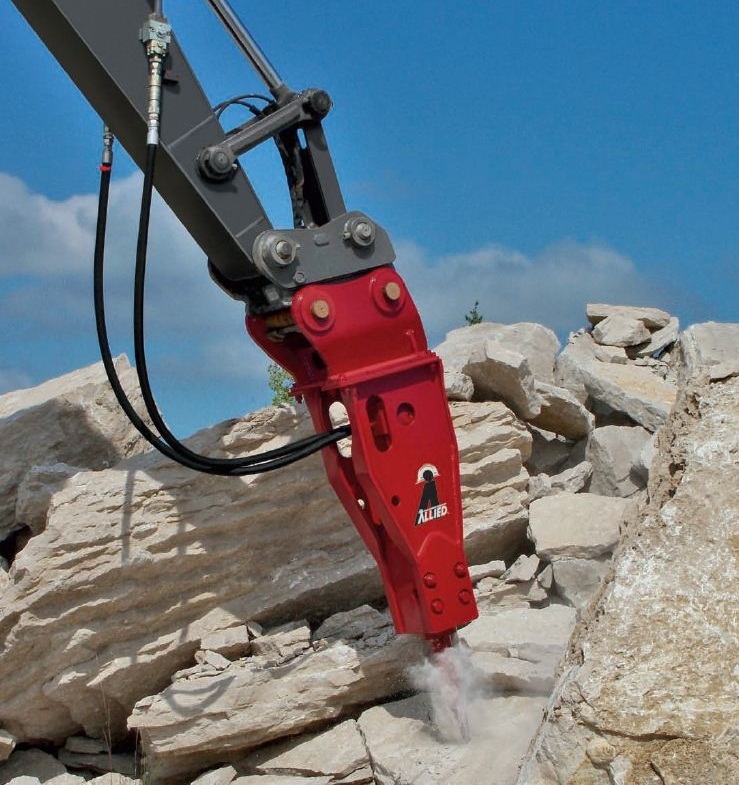 This Allied Construction Products hydraulic breaker attachment is featured by an impact energy class = 1,500 feet / pounds. Hydraulic Flow Required = 13-27 gpm. The working weight with the excavator configuration = 1,185 pounds.